Give Me My Remote > #1 featured > GMMR TV Awards: Most Disappointing Off-Screen Exit – Vote Now! It’s time to vote for the GMMR TV Awards! Take a look at your nominees and then vote for your choice below! These characters may be gone, but they're not forgotten. Which exit has you the most bummed? And make sure to vote in all the other GMMR Awards categories here. Want to make sure your pick takes the top spot? Tweet it! Tumble it! Facebook it! “I just voted for [your choice here] as Most Disappointing Off-Screen Exit in the GMMR TV Awards: http://bit.ly/13eUA84 Vote now!” and we’ll retweet/reblog some of the replies that amuse us the most from @GiveMeMyRemote and our Tumblr account. The polls close on Friday, July 5th at 5 PM PT (8 PM ET), so happy voting! I watch Supernatural but have no idea who those people were so their exit couldn’t have been too hard on me. Since there was not one person nominated I’d miss I did not vote. Ms. Tran was at the beginning. Kevin’s mom! She was a total badass while still being quite funny and motherly. Episode 2 was her real introduction and focused a lot on her, but she also got a good part in episode 7. And then near the end of the season Crowley tells Kevin (the episode where he kidnaps him) that he found Kevin’s location by torturing and killing her. And Kevin mentions her being dead in the finale again. 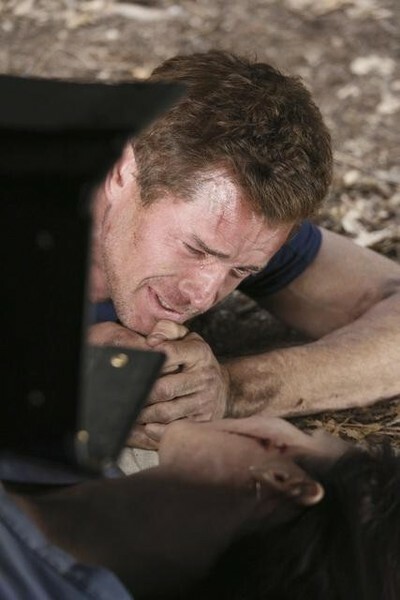 :C They fridged her for Kevin’s manpain. Ugh, I vote for both. Both their deaths were so pointless. And such a shame that they weren’t even the only ones with pointless deaths. Meg, Abaddon, Jody (hope the rumors are true and she’s not dead), Sara Blake, Amelia might as well be dead. And that’s just the girls off the top of my head. >_< Supernatural has no idea how to end a character's arc without taking the cheap way out and just killing them. I picked Kevin’s mom because I expected Naomi’s death… Kevin’s Mom’s announcement of a death was so poorly used, I didn’t believe it when it happened. It wasn’t until Kevin confirmed it that I tossed my hands up in disgust. It was not only disappointing, it was a waste of what should have been a heroic death for an amazing character. No no T, there should be no more deaths of mothers on this show! It’s overdone and not at all dramatic or heroic. There’s other ways to end a character’s arc than death and sorrow. :/ Women and people of color (especially characters who are both!) should get as much respect as the white men and they simply don’t on this show. Giving them a quick death to further or get out of the way of the menfolk’s stories isn’t respectful.